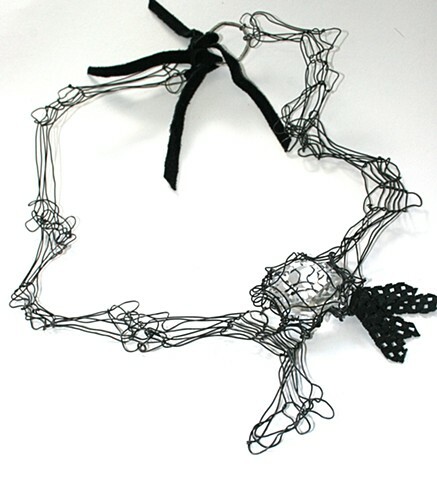 Steel wire forms inject an architectural quality to this piece. Woven forms meet industrial material and "pop" at the larger than life crystal "diamond" with leather accent. Leather ties to silver circle to form clasp. adjustable chain 17"-20", links are 3/4" at widest, center crystal 1 1/2" x 1 1/2"